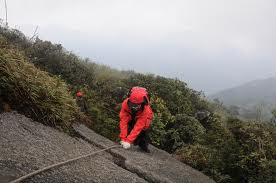 Fansipan is the highest peak of Hoang Lien Son mountain range with the height of 3.143 meters. 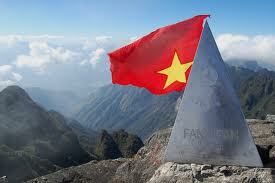 In 1905, the French came to Vietnam and put a landmark on its peak and called it “the roof of Indochina”. At that time, conquering Fansipan is really a challenge. Adventure tours to Sa Pa Vietnam The Night Before: Transfer from your hotel to the Hanoi Train Station for boarding at 9:30 pm. You will be in shared AC soft sleeper cabins of 4 to travel North to Lao Cai town. The train arrives in Lao Cai at about 6:30 am where your Footprint guide will welcome you. Look for the “Footprint Travel” sign when you exit the train station. Then take a morning drive through the clouds by car / van to Sapa (about 1 hours). Jeep to silver waterfall, Tram Ton pass – from this highest pass in Vietnam, starts the strenuous climb to the peak. 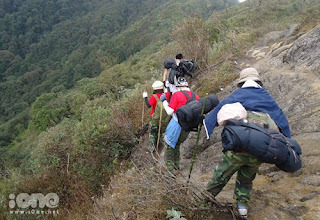 8 hours through primitive forest, many small streams and bamboo forests…reach the top of 2,800m, make tents, and prepare for dinner. This is the 1st night for travelers, guide and porters to seat friendly close to each others beside the fire to enjoy the tasty moment that all have once in the life of experience. A hard climb heads up to the top the summit. At the top you will be the vanquisher. Take your time to enjoy yourself, take pictures and your lunch then descend the same way or take another way to go down to the foot of the mountain and take a jeep back to Sapa. 05:00 am: Arrive at Tran Quy Cap station (Ha Noi) for bus transfer to hotel. - All accommodation, entrance fees, security permits. - Drinks, Phone call, other private expenses.